I don’t usually write personal blog posts about what I was like in high school. But the ways that each of the girls behave is drawn off personal experience, along with first hand things I witnessed from my friends when I was that age, and I thought you all might be interested in reading about this. So, I’m going to tell you a little bit about each of the four characters, and how they relate to me personally. Hope you enjoy! 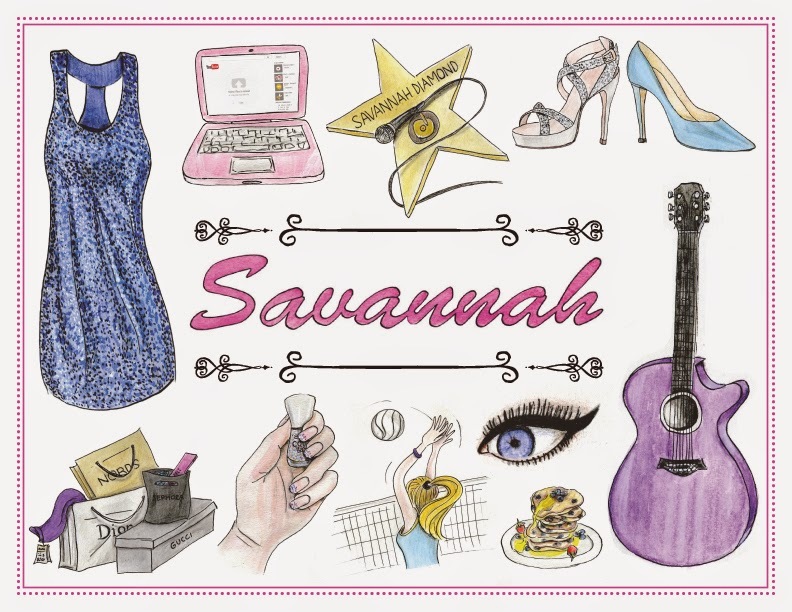 Savannah is very similar to the way that I, and many of my friends, behaved while we were fifteen years old—sophomores in high school. I was always in that “middle crowd,” in high school—the normal people. Not “cool,” but not a “nerd,” either. But at that point in my life, I wanted more than anything to be accepted by the “popular kids.” Looking back, it seems so trivial, but it was important to me then, just as it’s important to Savannah. A lot of fifteen year olds want to be accepted. They want to be invited to the coolest parties, and have the hottest guys in school that they crush on from afar notice them. Many times (and I know this because my friends and I went through it), at that age you will care about getting noticed by the hot, popular guys. I got my heart broken many times because of it. Like *many* teens, I was guilty of giving into peer pressure. It’s unfortunate, but it’s REAL, and it happens. Eventually most of us grow up from this mindset (I definitely did), but many people—like Savannah—need to make those mistakes to do so. She’s only fifteen, and she will grow up eventually, but she needs time. I wish I had been more confident at fifteen, and not cared about those things as much, but I wasn't like that, and while not all fifteen year olds are like that, there are definitely some that are. So if you're fifteen, and are already confident and know your place in the world, then congrats. You're lucky. And I hope you realize how great that maturity is! (If I'd had it, I might have had a much easier time in high school). 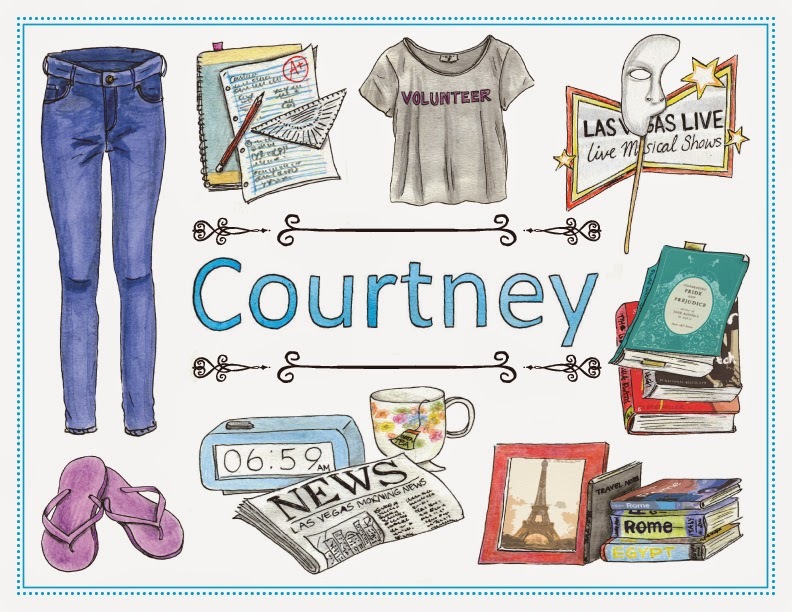 I see Courtney as the “typical YA literary heroine that many people are accustomed to reading about.” She acts like she’s in her mid/upper 20s, not like she’s sixteen (or at least not how I EVER acted at sixteen). I included a character like this because it fit with her background of being responsible, and I know there are people out there who DID act this way in high school. They were confident, knew what they wanted, and had their act together. BUT I do not think this is the “norm” for high school students (or at least it didn’t seem to be when I was in high school), which is why Courtney is the only one of the four who acts in this way. Courtney is actually very representative of my personality now, in my 20s. At age 21, when I realized my goal in life was to write books and hopefully get them published, my entire mindset changed. I became confident like Courtney, and no longer sought out to impress others—I focused only on doing everything I could to make my dream come true. I’m still like that. But was I like that as a teen? Maybe some of you were, and that’s great, but I certainly wasn’t. I wish I could tell my teenage self to get my act together, stop caring so much about what others thought, and start writing books already! 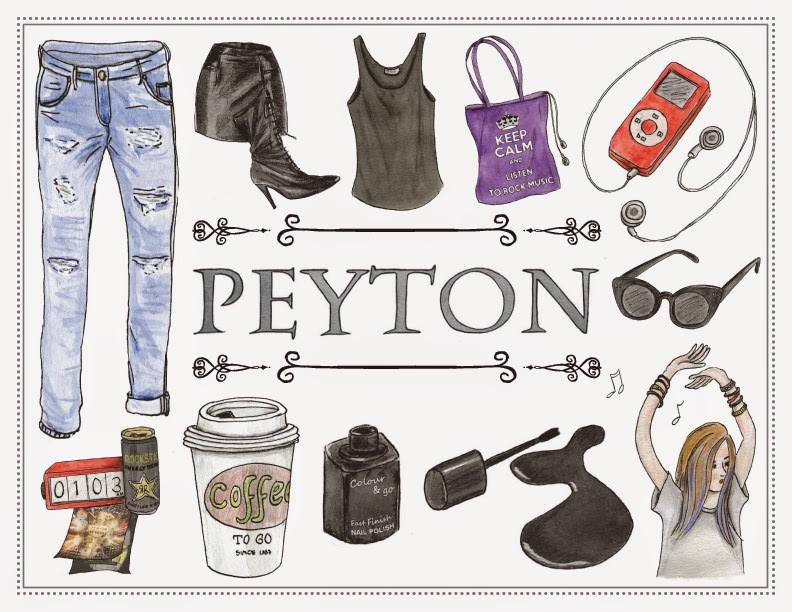 Out of the four main characters, Peyton is the least like I ever was, or currently am. A lot of her personality is based off a girl I was close with in high school, who I respected very much (and still do respect very much.) She was rebellious, she was confident, she did what she wanted, but she also had her heart broken a lot and didn’t let people in easily. She grew up fast, and oftentimes resented when her parents tried to get involved in her life and tell her what to do. She could handle herself in ANY situation. But my favorite thing about her, and a huge reason why we were friends, was because if she was truly friends with someone, she would always be there for them. In the book, Peyton doesn’t have many close friends, but she’s always there for her sisters, just as this friend of mine in high school was always there for her close friends. She’s tough, but she’s trustworthy to those who have broken down her walls. She’s the one who if you got stuck anywhere, you could call and know she would figure out a way to help out. I hope that gives you better insight into why I made each character the way I did. One major goal of mine while writing this book was to make each girl different. As a reader, you'll relate to one the most, and one the least. I've always enjoyed reading about characters who are different from myself. These girls aren't perfect -- they don't always make the right decisions. They mess up. They act on their feelings instead of on logic. They're not always confident. They're not all going to be good little girls who go home and get their homework done every night, and who are confident enough to not care about what others think about them. As the trilogy goes on, they'll learn from their mistakes, but when it all ends, they're still teens. I hope that there will be one of them you relate to, and that you can appreciate the ones who are different from you. And most of all, that you have fun while reading the book! I love this post! It perfect describes the characters! I love telepathic Activity' and Shining' is a great one too, but there's not a lot that scares me. possibly it's because I know the other side of it, and I know how movies are made, but it takes a lot for me to get freaked out I until the end of time had this idea for construction a movie about a femme fatale, for the reason that I like these characters. They're a lot of fun, they're manipulative so they're dangerous.